Isolation. Desperation. Suspense. Survival. The Martian is an entirely different genre of summer reading book from previous years’ young adult coming-of-age novels, due to negative feedback from students. This shift spurred a brand new type of group activity to respond to the all-school summer reading book. 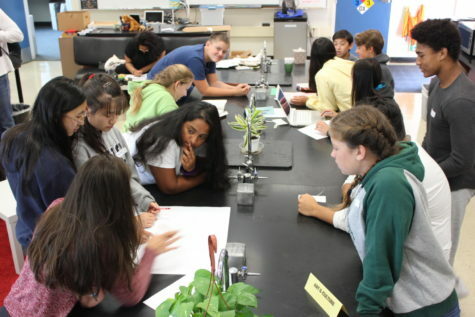 This year, Carlmont held MASC, or Martian All-School Competition, as part of Martian Week, which started Aug. 20. 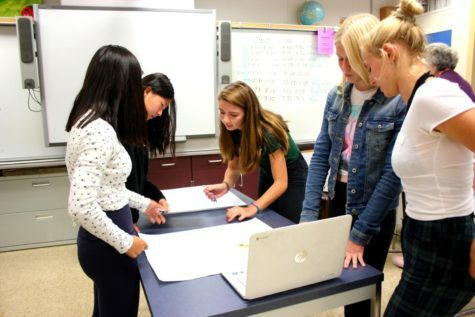 Instead of having students sit on the field just with a few other classes for about one hour on just one day like in previous years, all students had at least a 10-minute lesson in every class about a topic related to The Martian. Lessons included listening to planet-themed symphonies in the various Carlmont bands, talking about NASA spending in government classes, and space themed math problems. Students also took part in an all school competition that involved mixing all grade levels, collaborating with peers, problem solving, and learning about different elements of Mars all to theoretically help a colony to survive there for one martian year. Martian week also included an after school trivia challenge on Wednesday, and a showing of the movie at the Belmont Library on Friday. Martian Week is a big change from what was done in the past and it was the product of a lot of effort, especially that of the Instructional Vice Principal Jennifer Cho. The negative feedback from students about the all-school field activity led the English department to attempt more creative options for sharing the experience of the summer reading book among all students. 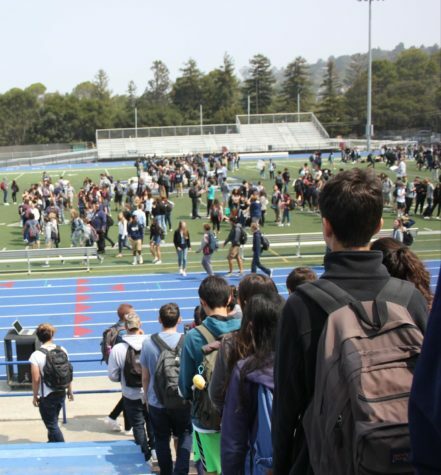 “We wanted to take it out of the English department because it was kind of seen as an activity done by English, and we wanted it to become more of a whole school activity,” said English teacher and Martian Week organizer Cynthia Shusterman. The general consensus among students was that they wanted to do something different and more interesting than the default activity from previous years. “Feedback from students was that they liked working with different people then they would normally work with but they wanted to do something other than just discussing. So we were trying to figure out what that would look like and how to do it,” said Martian week organizer and English teacher Kelly Redmon. 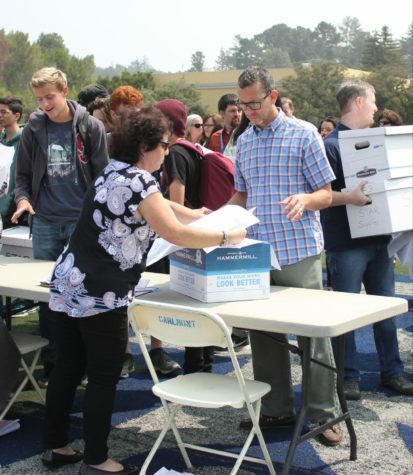 That being said, getting all the students to enjoy the activity is a mammoth task. Unfavorable experiences are inevitable. “I expected the activity to go similarly to the activities from other years. It’s difficult to organize an activity involving the entire school and other years no one is really motivated so I really didn’t expect it to go too well,” Shiina Sugioka, a junior, said. As previously mentioned, the changes started with the book itself. Normally, the school chooses a summer reading book from the young adult genre, however, this year, a science fiction novel was selected in order to appeal to more of a variety of students. “We wanted to pick a high-interest book that was also a movie because not everyone is going to read a 200-300 page book, so a good second option would be to watch the movie,” Shusterman said. From students, the reaction to the change in book genre was mostly positive with some confusion at the changes from the past process of all-school summer reading books. 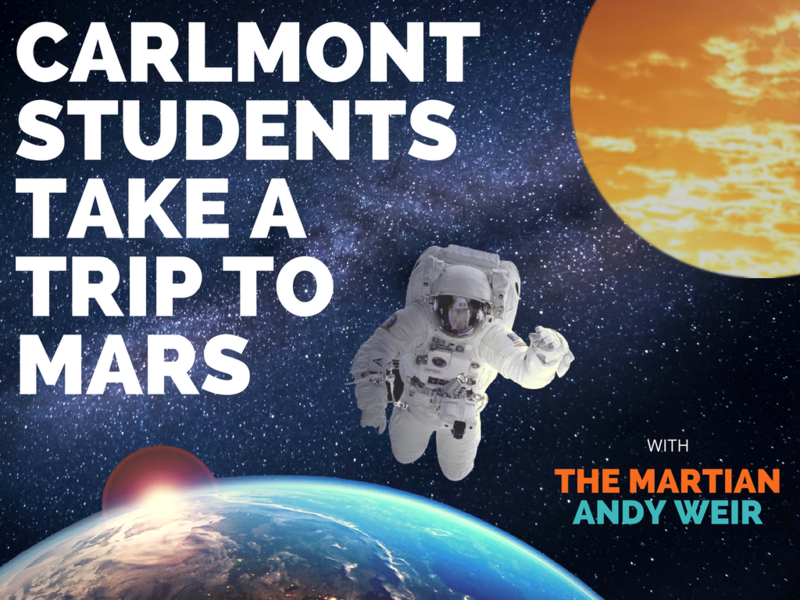 Whether students disliked the book, loved it, or didn’t even read it, every single Carlmont student was exposed to something new, thanks to The Martian. 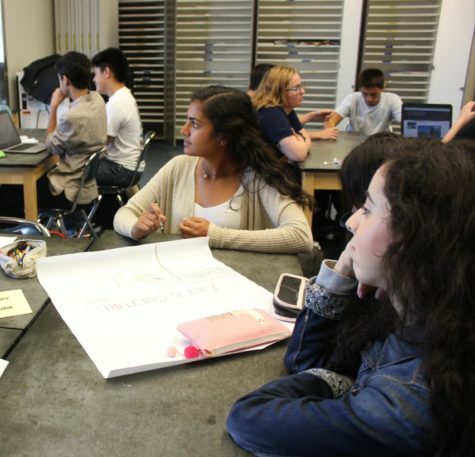 While the summer reading assignments might seem tiresome, the most recent summer book assigned to Carlmont students proves to be interesting and thought-provoking. The Martian by Andy Weir is a Science-Fiction story about an astronaut named Mark Watney. Watney survives a storm, and as a result he is stranded on Mars. Meanwhile, his crewmates are already in space, mourning his presumed death. In this unfortunate, and possibly fatal, turn of events, Watney struggles to stay alive by himself with limited time and resources until a rescue can possibly be arranged. Weir’s novel proves to be engaging in multiple ways. The book takes place in 2035, only 17 years into the future, which makes the story feel more realistic and less science-fictional. Furthermore, Watney’s optimistic and casual tone allow the readers to relate to him while putting a humorous twist on a serious and rather unfathomable situation. The science-fiction genre of the novel allows a diverse interest group to enjoy in the story. Weir also introduces the perspectives of both NASA and Watney’s crew. The diversity of the points of view not only enhances the writing by keeping the reader’s mind on rotation but makes the ending more suspenseful because the possible yet risky resolution is seen from all sides. However, there are some aspects of the novel that could be improved. The book soon starts to become a bit dull and repetitive as the plot progresses. Watney encounters a deadly problem nearly every day and solves it using math and scientific knowledge, over and over. Day after day of working out the same issues still alone on Mars makes the final ending predictable and the suspense in the buildup to the climax of the story cannot overshadow the obvious ending to the story. Plus, while incredibly interesting, the whole situation was not realistically possible. The fact that Watney managed to stay alive for such an extended period of time with such odds against him feels too idealistic to believe. Not only does Watney survive through two storms, he also manages to survive an explosion, radiation exposure, and more. With all the challenges he encountered, the probability is very low that a person would have survived all of that. Still, Weir’s incorporation of current topics in STEM, combined with engaging writing style and interesting plot lines, plus a likable main character proved to be successful (enough to make a movie out of), and made for an interesting book to read over the summer. ScotCenter presents a video on Carlmont’s motivations for implementing The Martian as the 2018-2019 school year’s all-school summer reading book, and the ways in which Carlmont students were impacted by this particular choice.